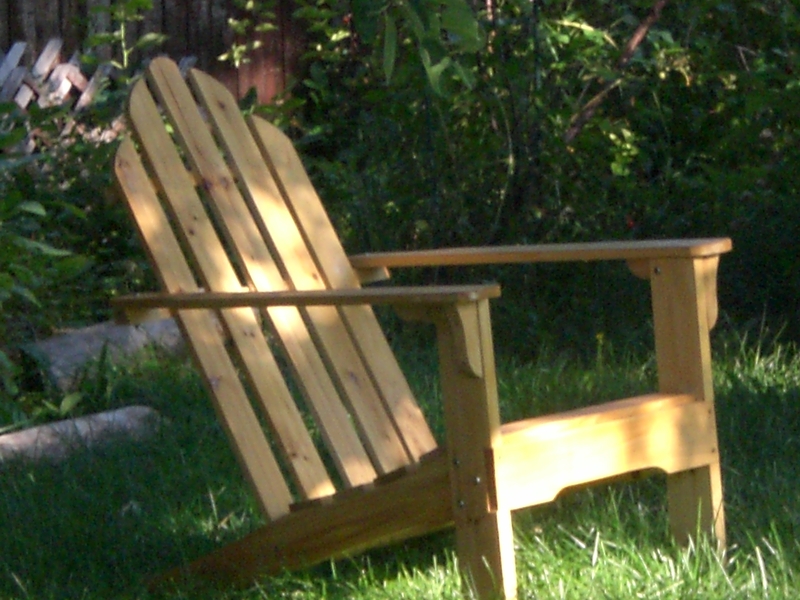 As much as I would like to sit back in my Adirondack chair in the shade, I’ve got to get some work done today. First project, patch the soaker hose that snakes through the shrub bed south of the apple tree. I’m thinking duct tape. I’ll let you know how that works out. I cut it accidentally when I planted Lady’s Mantle this spring. We got so much reliable rain this summer, that I didn’t even use the soaker until a couple of weeks ago, then I turned it on and heard the gurgling and saw the mud. After patching, I’ll water, and weed- it’s always easier to weed when the ground is wet, although it is never really easy. I hope sometime this afternoon I’ll get some time in the shade in that chair. I can rest in the shade later.